B2C & B2B ecommerce and brochurewear solutions supporting over 200,000 customers in the UK for Personal Emergency Alarm provider, Appello. Appello needed a new B2C & B2B ecommerce website to reflect the new value proposition and to sell its range of products to its B2C customers, as well as a platform to connect with its B2B clients. The sites needed to be tailored for their own individual client bases and to reflect differing user journeys. The system needed to integrate with Appello’s Microsoft Dynamics NAV back end system for stock information as well as pricing and other important product information. The system also needed integration with Appello’s Carenet CRM system. The products sold by Appello have additional associated service wraps and optional extras, the website therefore required a first class user journey and design to ensure ease of use. Appello started operations in the autumn of 2014 following the merger of CarelineUK Ltd, Cirrus Ltd and Appello Telehealth. The existing website was antiquated and suffered a number of technical and front end deficiencies. PureNet was commissioned to build a state of the art B2C & B2B ecommerce platform. The solution offers two sites, each catering for B2B and B2C audiences. The B2B site provides a comprehensive brochure site allowing the Appello team to update and managed content from a central location. From the same administration the system also provides management of the B2C site. This offers products, principally around alarms. These products may be provided with VAT release and be bought or hired. Customers may select the contract length and can opt for installation. The site delivers seamless, full integration into Appello’s Microsoft Dynamic NAV and Carenet CRM system. The solution is currently enjoying a ‘soft launch’ with an enquiry based solution in place. 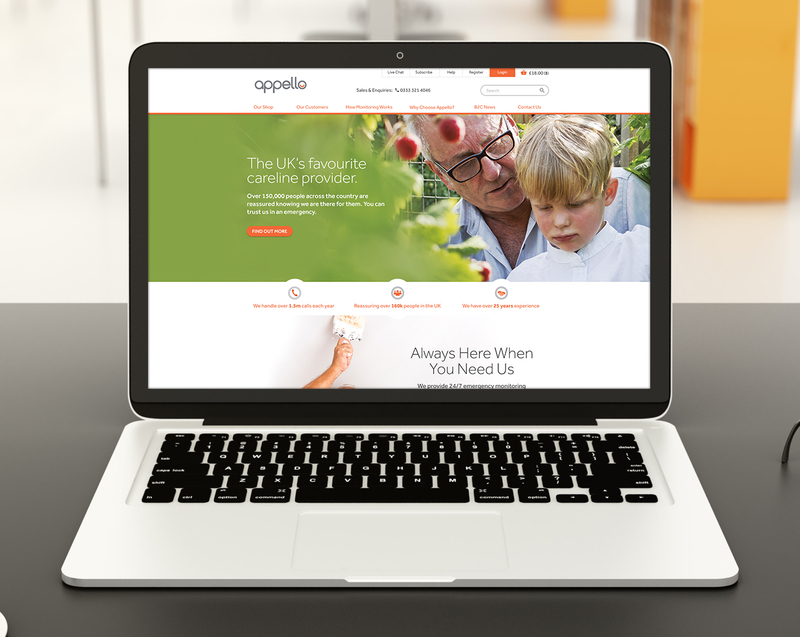 The new website’s look and feel has been positively received by Appello’s customers and team. The new B2C & B2B ecommerce solution is enabling Appello to take control of the business by uploading multiple types of content in line with the business strategy without having to utilise a developer resource. Already receiving rave reviews, Appello aims to roll out the transactional elements later this year. In a recent survey, Appello customers stated they trusted the brand explicitly and the new digital presence has helped to further build this trust. Appello customers require 24/7 coverage and support, all underpinned by PureNet's secure hosting and ongoing support. 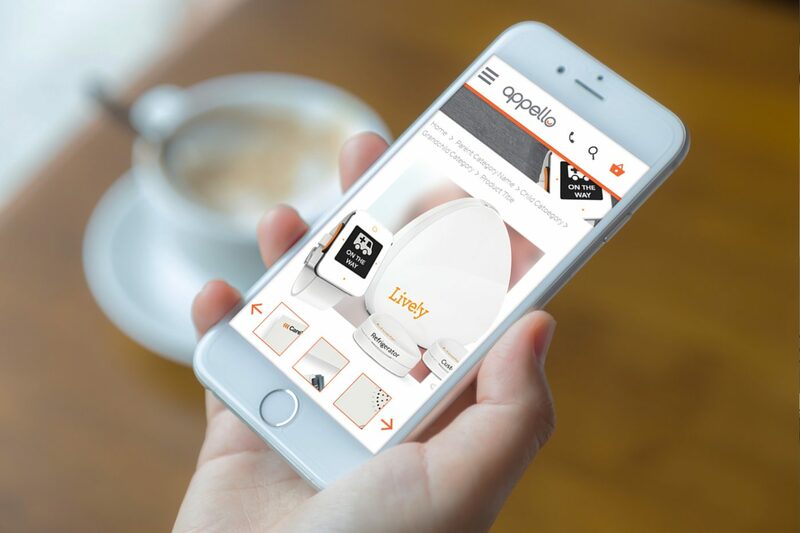 Appello supports over 400,000 customers, the new ecommerce website aims to increase this figure and retain existing clients by offering a content-rich online experience. In addition to customer support, the new B2C & B2B ecommerce solution enables Appello employees to share, read about and post company news and industry insights.